St Helens Boat Ramp & Breakwall Construction - Pensar. The Infrastructure People. 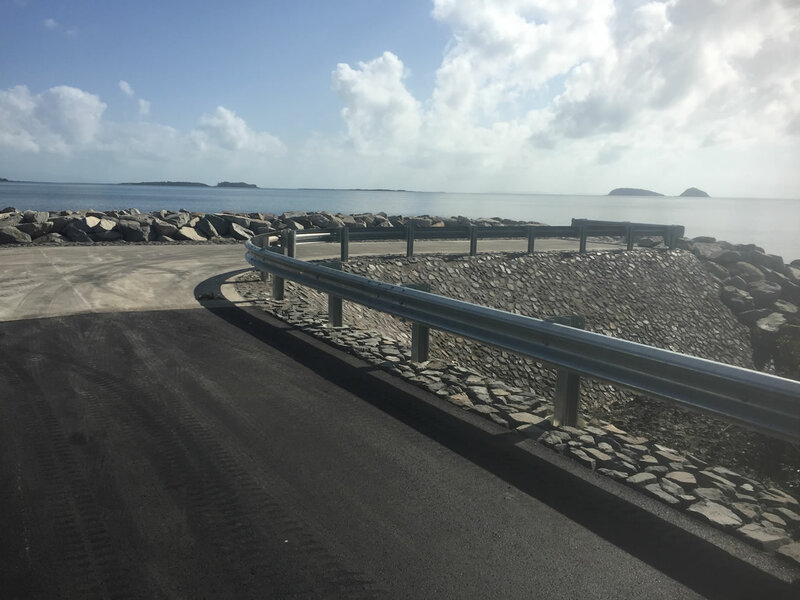 Reconstruction of an existing Carpet Snake Point boat ramp in the small shing township of St Helens Beach. The township is situated approximately 60km North of Mackay and within the Great Barrier Reef Cost Marine Park zone. Placement of 37 precast concrete planks to construct the new 40 meter long ramp. Worked closely with cultural heritage monitoring team to ensure no cultural artifacts were uncovered while excavating. Large tidal movement provided challenges however were met and overcome by the project delivery team. Successful delivery of project on schedule with no major defects. Pensar worked closely with Mackay Council to ensure all public and local stakeholders were kept updated on all works being carried out throughout the 12 week project duration. All works were carried out in accordance with the site specific Environmental management Plan with all Environmental controls closely monitored and updated as site conditions changed with tidal movement.